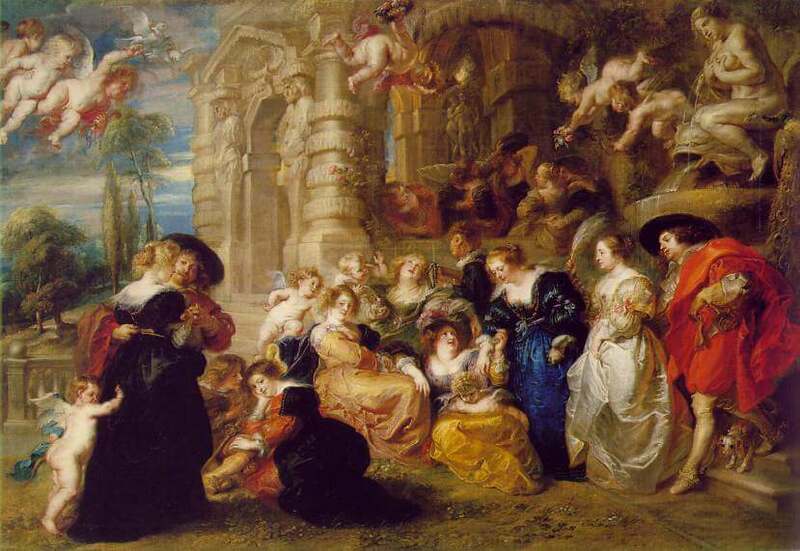 In the Garden of Love Rubens celebrated his marriage to Helena Fourment, his second wife. 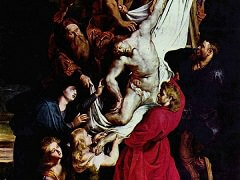 Helena, the woman deemed 'the most beautiful in Antwerp', is seen in the painting. This scene from a court feast takes place in a relaxed atmosphere in which a group of persons flirt in an idyllic garden. 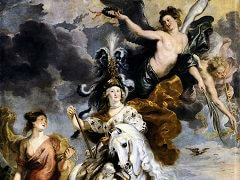 The cupids around the group carry symbols of conjugal love, including a pair of doves and the yolk carried by the cupid in the upper left part of the composition. The fountains or sculptures of the three Graces and of Venus nursing signify fecundity and marital happiness, while the peacock symbolizes the goddess, Juno, who protects matrimony. 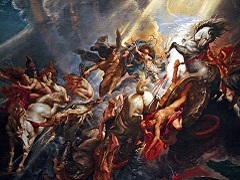 Rubens uses motives from Renaissance sculptures, but sets the scene in the mannerist portico of his own house in Antwerp, which led to the idea that it was a self-portrait with friends. 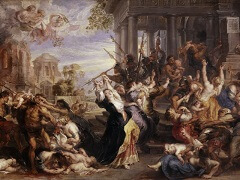 In the early inventories it was called Rubens' Family, but in any case, it is an allegory and exaltation of conjugal love and happiness. The subject is a traditional medieval one, in which lovers were shown conventionally in a garden, sometimes with moral messages or symbols accompanying them. 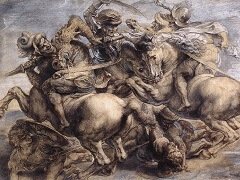 In the Italian Renaissance the theme had been represented in 'fête champêtres' such as the one attributed to Giorgione or Titian in the Louvre. 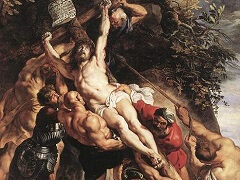 This picture by Rubens is an important link in the tradition running from those works to the scenes of Watteau and Pater in the eigtheenth century. 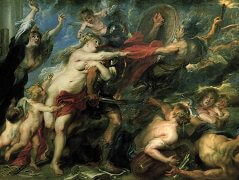 This work was listed for the first time in 1666, when it hung in the King's bedroom at Madrid's Alcázar Palace.